The 1000th world championship-status race was somewhat uneventful by Shanghai standards. Its defining hard point was that Mercedes was simply a handy amount faster than Ferrari. The layout of the track allowed it to utilise its downforce advantage over Ferrari much more effectively than had Bahrain, meaning the Ferrari’s power advantage counted for less. The SF90 still isn’t the well-balanced thing it was in Barcelona testing and is over-using its outer-front tyre, this just compounding its small shortfall. Within that hardpoint, the outcome was then decided by the respective starts of the two Mercedes drivers. Poleman Valtteri Bottas lit up his tyres as they caught the white-painted start/finish line which is placed perhaps inconveniently close to the pole position slot. He suspected at that moment he had just lost the race. Lewis Hamilton had laid down a lot more rubber on his dummy start from the grid and got better traction, slingshotting him straight into the lead. 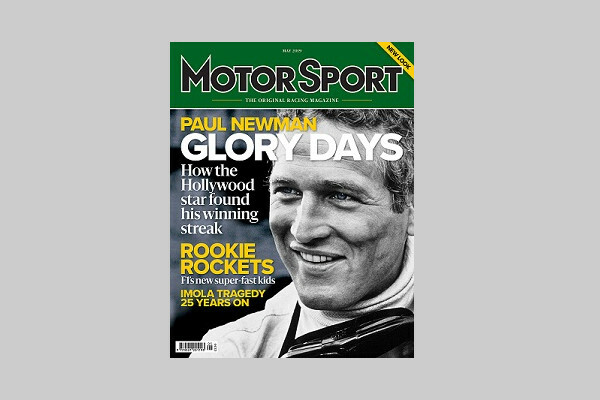 This was the final detail of rescue of Hamilton’s weekend – which had begun with him a long way from Bottas’ pace and requiring him to make a major adaptation of his driving style to solve the tricky tyre equation here. “Once I was out front for a couple of laps, I could feel I had the pace and only then did I start to be confident,” said Hamilton. 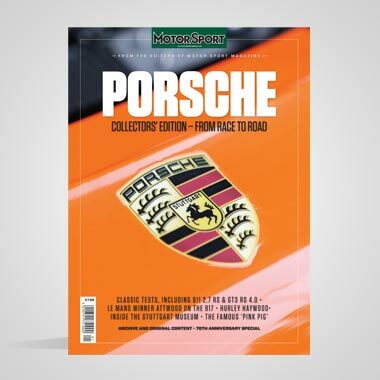 It was, of course, a confidence very well placed and he duly rattled off his second consecutive victory to head Mercedes’ third 1-2 from three attempts. Bottas’ shaky start also put in place a sequence of events that fell rather awkwardly for Ferrari. As Sebastian Vettel was forced to back off to avoid the slower-starting Mercedes into Turn One, so it allowed team-mate Charles Leclerc to get down his inside. Vettel was quicker than Leclerc this weekend but Ferrari took too long to ask Leclerc to move aside. By the time this did happen, Vettel had damaged his tyres and could make no impact upon the escaping Bottas. Had he run third from the start, maybe there’d have been a chance of fighting for second. 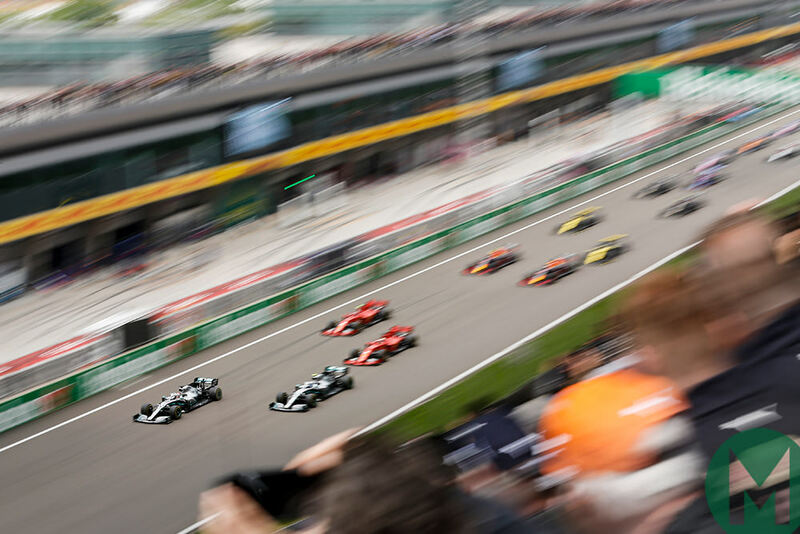 The Ferrari switch-around then triggered a somewhat nervy series of strategy calls, as the team tried to give Leclerc a second bite at the cherry but succeeded only in losing him fourth place to Max Verstappen. Red Bull’s early call to put undercut pressure on the Ferraris triggered a domino effect that switched the race up-front from the pre-race one-stop plan to a two-stop. But whatever the number of stops, Mercedes – and Hamilton – had it well covered. “We have a very strong car, there’s nothing wrong with it,” said a pensive Vettel afterwards, “but I think we’re not able to yet put it in the window… I think we start to see a pattern and understand, especially throughout a grand prix distance, what we need – what I need – to really unlock this car. I think these next couple of weeks will be very important for us to understand where we need to go in the next months.” For the sake of the championship, it is to be hoped that Vettel and the Scuderia can find the key to unlock this car. 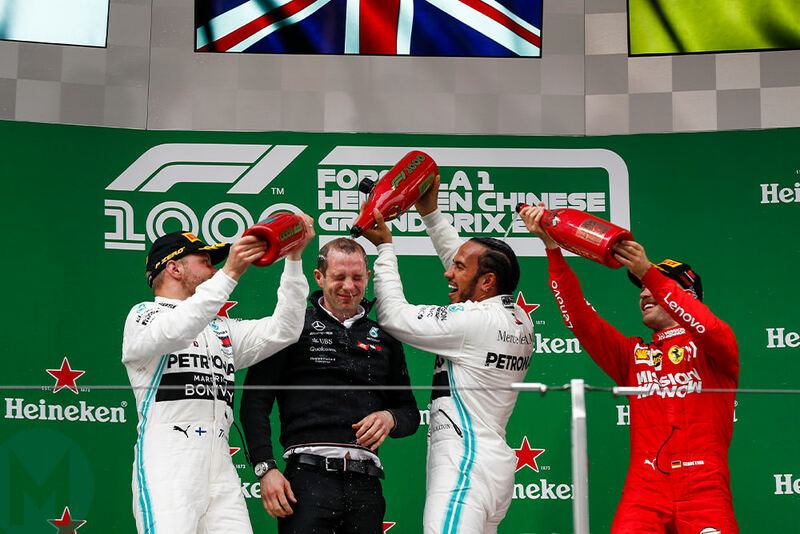 Despite losing what it calculated as 0.35sec to the Ferraris down the straights, Mercedes quite comfortably locked out the front row, Bottas edging out Hamilton for pole by a scant couple of hundredths. Unlike in Bahrain, the Mercedes were more than making back through the turns what they were losing out to the red cars on the straights – to the tune of around 0.3sec. Hamilton’s first Q3 effort got him to within two-hundredths of Bottas’ time but he failed to improve on his final effort. 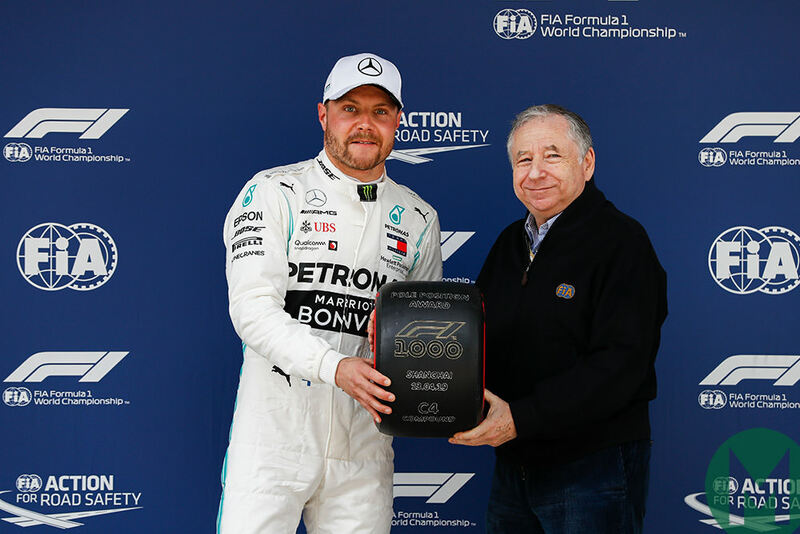 It was Hamilton’s turn to leave the pits as the car ahead this weekend – and the slipstream effect for Bottas down the super-long back straight may have been all that separated them. The W10s featured a new front wing with reprofiled endplate and a gentler upsweep of the outer edge, looking to work the outwash around the tyres more efficiently. It required a small modification before being allowed to run, as the FIA took exception to it not meeting the complex measurement zones where the elements interact with the endplate. Just as in Bahrain, the Mercedes were taking time out of the Ferraris on corner entry up to the apex, but losing out on acceleration and top speed. Past the traps Leclerc and Vettel were running at 202mph, with the Mercs at 197mph. This was with the higher downforce of the two rear wings tried by Ferrari in practice, the lower one used by Vettel on Friday giving a speed trap figure of 206mph. Just as in Bahrain the advantage was there only in certain engine modes and in general race simulation runs there was little difference with the Mercedes engine performance. Over the lap, the Mercedes cornering advantage was better than the Ferrari power advantage to the tune of 0.3sec, confirming that the Mercedes had somewhat underperformed in Bahrain. Vettel edged out Leclerc for third by an even smaller margin than that which separated the Mercedes drivers. Leclerc was catching up, having missed most of the second practice to a cooling leak. Vettel was happier with the balance of his car than he had been two weeks ago, having found a better understanding and set up in the testing days there that followed the race. Leclerc was annoyed with himself for a crucial error on his final Q3 lap that he feels cost him position to Vettel. As in Bahrain with Grosjean, Vettel had again ruffled feathers by barging past another car (that of Verstappen at the end of Q3) going into the last couple of corners to begin a qualifying lap, thereby compromising that car’s preparation. But the clock was counting down and the Ferrari’s out-lap preparation needed to be harder than that of the Red Bull. Verstappen missed getting to the line in time to begin his final Q3 lap as a consequence and was furious. Had he not tried to give himself a further gap once Vettel had passed and just made a run for it to the line, he’d have at least made it in time (both Renaults passed him at this moment and they made it). But, as he pointed out, it would have left him too close to Vettel to get an uncompromised lap – which is what he would have needed to have improved on his first run time, good for sixth fastest, 0.15sec off the Ferraris. The team was adamant that third on the grid would have been feasible. Team-mate Pierre Gasly was next, sixth fastest but a sizeable 0.9sec adrift of Verstappen. He’s still not at all happy with the traits of the car, specifically its rear end instability under power. Gasly had also been denied his final Q3 lap – and in fact had been cut up by Verstappen as the latter sought to find new track space after the incident with Vettel. Gasly had not been confident enough of getting through Q2 on the medium tyres, unlike the five ahead of him. Both Renaults made it to Q3 and past the line to begin their final Q3 laps. Daniel Ricciardo, having trailed team-mate Nico Hülkenberg all weekend, put together a marginally faster lap (by four-thousandths) when it mattered, the yellow cars lining up seventh and eighth respectively. Haas drivers Kevin Magnussen and Romain Grosjean were caught in the slow traffic that also accounted for Verstappen’s last lap but in their case, with only one set of new tyres left for Q3, these were going to be their only laps – and as a consequence they didn’t put a Q3 time on the board and lined up ninth and 10th, the order between them decided by which of them was ahead in Q2. 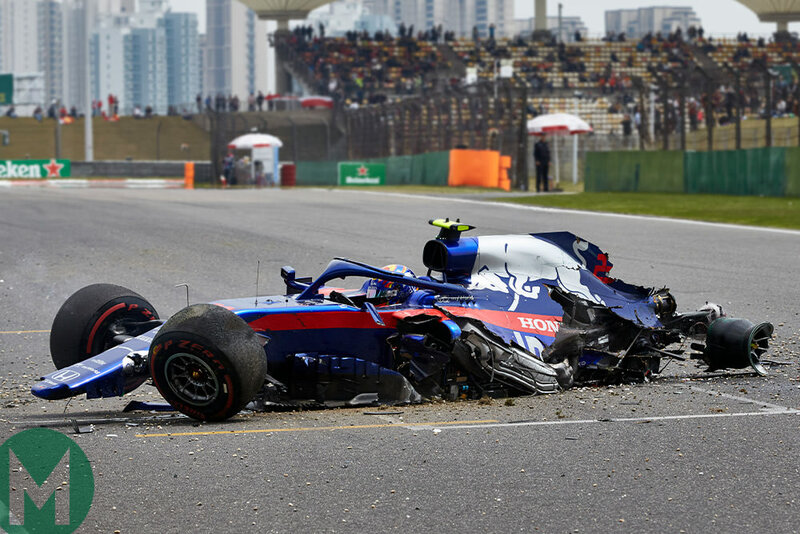 Daniil Kvyat was fastest of those not making it through to Q3 (missing out by just two hundredths), his the only Toro Rosso present after Alex Albon had destroyed his car late on Saturday morning practice against the tyre barriers separating pit straight from pit lane. He’d got a tankslapper over the Astroturf exiting the final corner and the hit was hard. He was unhurt but annoyed with himself: “I was just pushing hard trying to find the limit but I guess I should’ve been doing that in qualifying rather than practice.” Albon would start from the pitlane in a car built around the spare tub. Sergio Pérez put in a great late lap to slot his Racing Point 12th, leapfrogging himself past the McLarens and Kimi Räikkönen’s Alfa Romeo. Steady progress is being made with the Racing Point but it remains a little unstable upon corner entry, something which induced a few vital errors from Lance Stroll, leaving him 0.3sec adrift of his team-mate in Q1 and not being able to graduate from there, 16th quickest. Räikkönen’s Alfa lost some power in the last part of his Q2 lap, leaving him 13th. The sister car of Antonio Giovinazzi was unable to get in a lap, the control electronics unit having failed in the same way that Leclerc’s had in the Bahrain race. Ferrari had produced a modified component after Leclerc’s misfortunate and had supplied it to both Alfa and Haas, but Alfa had not had time to fit it. McLaren, as it had feared, was not as quick on a front-limited circuit as on a rear-limited one like Bahrain. It was 0.6sec off the identically-powered Renault, which it had outpaced in Bahrain. Carlos Sainz and Lando Norris squeezed in 14th and 15th respectively, separated by a chunky 0.4sec, Norris’s aggressive wrestling with the car’s shortcomings not as effective as Sainz’s smoother approach. As ever, Williams brought up the rear, George Russell three-hundredths faster than Robert Kubica. Russell described his lap as ‘very poor’ while Kubica’s car had been refitted with his original floor and wing. When they had swapped them over in Friday practice in an effort at tracing the anomaly between the two identically set up cars, Kubica had been faster of the pair – confirming the problem but not the root source. The track was cooler than at any time during the weekend, the wind had come up – and changed direction by 180deg. 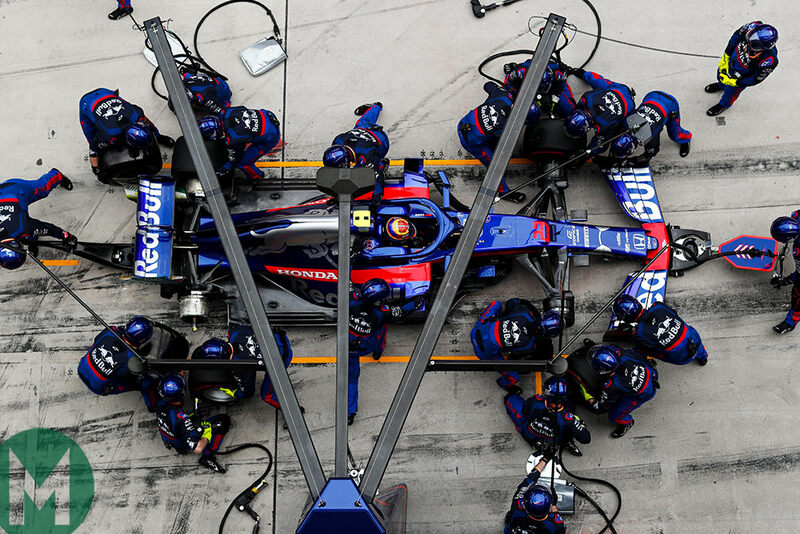 It made the formation lap somewhat tricky – particularly for those on the medium tyre with its higher temperature range. Verstappen and Kubica both spun exiting Turn Six but got going again quickly enough to take up their grid slots. Bottas’ problem as the gantry lights went out wasn’t so much lateral grip as longitudinal, the Mercedes’ rear wheels spinning up over the painted start/finish line. Hamilton was through and away, his weekend finally coming into focus after two unusually difficult days by his standards. He was back in his habitual position, clear track in front of him, nothing big in his mirrors, so just slot into the groove, think about how to treat the tyres in these early heavy-fuel laps. 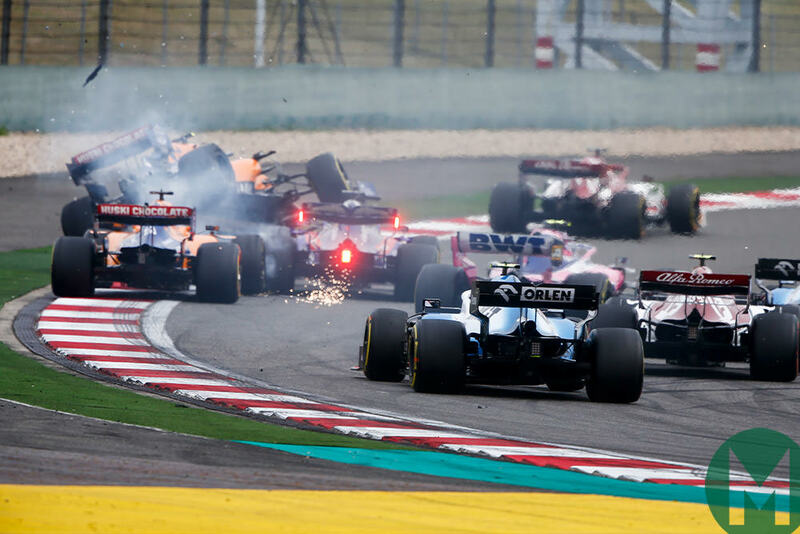 Those tyres – like those of Bottas, the Ferraris and Verstappen – were of the medium compound, reckoned good for around 30 laps with a bit of management. That, in theory, made a one-stop strategy feasible, but marginal. Much would depend upon what pressure you might be under, either on track or strategical. For Mercedes and Ferrari Plan A was the one-stop. For Red Bull, with Verstappen, with nothing to lose from fifth on the grid, it was an unambiguous two-stop in order to put undercut pressure on the Ferraris. So Hamilton led Bottas into that opening never-ending Turns One-Two. 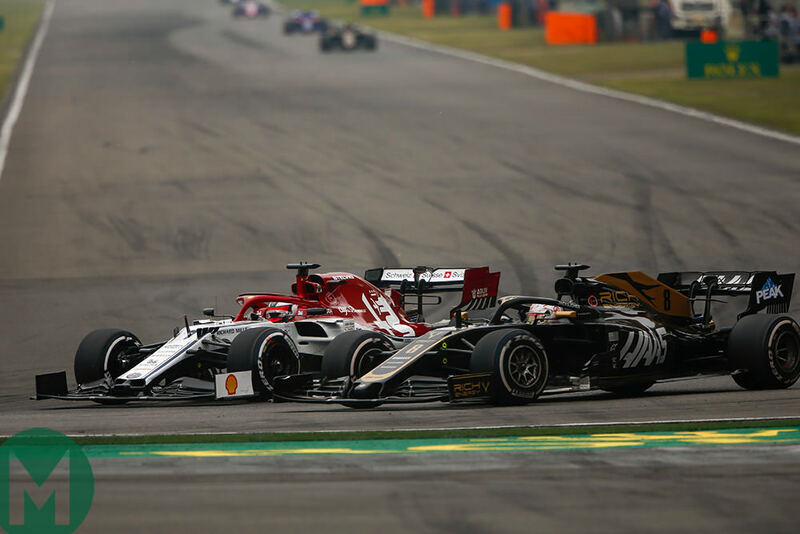 Bottas, from his compromised start, hugged the middle of the track, Vettel opted for the outside unwilling to lose momentum – and that allowed the other Ferrari of Leclerc down his inside. That changed the complexion of Vettel’s race – made it more difficult than it otherwise might have been. 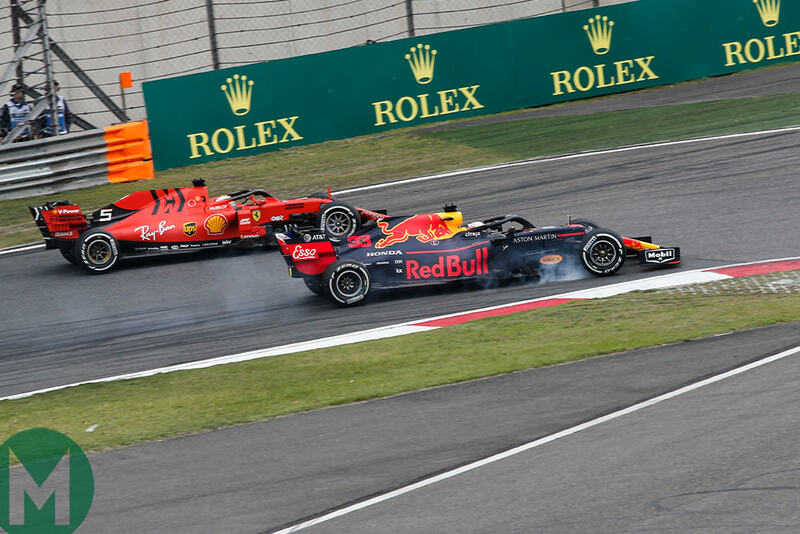 Verstappen was snapping away at Vettel’s heels, Gasly unable to utilize his initially greater soft-tyre grip and tucking in behind the other Red Bull. 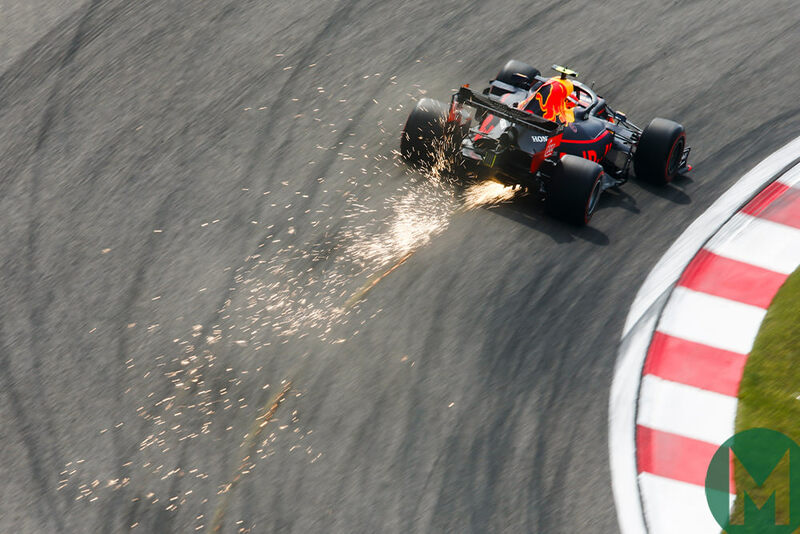 Behind him, Ricciardo put himself in all the right pieces of track to fend off the dicing Pérez and Hülkenberg. Then came Grosjean, Magnussen and Räikkönen. Up to Turn Six, Norris ran his McLaren onto the runoff on the exit and rejoined just where Kvyat leaning on the other McLaren of Sainz. This pinch point interlocked the Toro Rosso’s wheels with Norris’s, pitching the McLaren high into the air from where it landed heavily, damaging the floor as it did so. Sainz picked up some of the debris and both McLarens would be in for repairs at the end of the lap. Kvyat continued but would be later given a drive-through. The incident promoted Stroll, Giovinazzi, Russell, Kubica and the pitlane-starting Albon. Norris would later be retired; Sainz struggled on after a long delay. Would the Ferraris with their greater straightline speed be able to slipstream the Mercedes down that long back straight? The answer to that was defined by how much slower they were through the long, right-handed Turns 12-13 sequence. 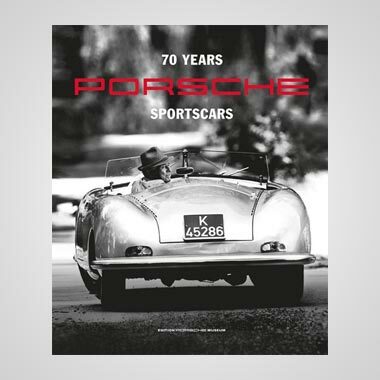 The Ferrari took a lot more steering through there than the Mercedes – and through pretty much every corner of long duration, of which there are many here – and was consequently slower onto the straight. 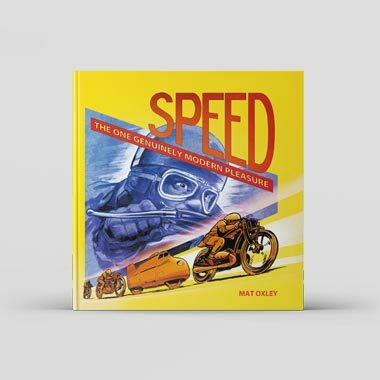 By the time it was going faster, it was only making up what it had lost on the entry to the straight. The longer the corner, the more the front tyres would overheat and so the greater the Mercedes downforce advantage would pay back: that at least was the working theory. Furthermore, that Ferrari power advantage was only being seen in high modes. In general race-running mode, it wasn’t there. The GPS data, supplied by the FIA and seen by all the teams, has shown that quite consistently in the season to date. 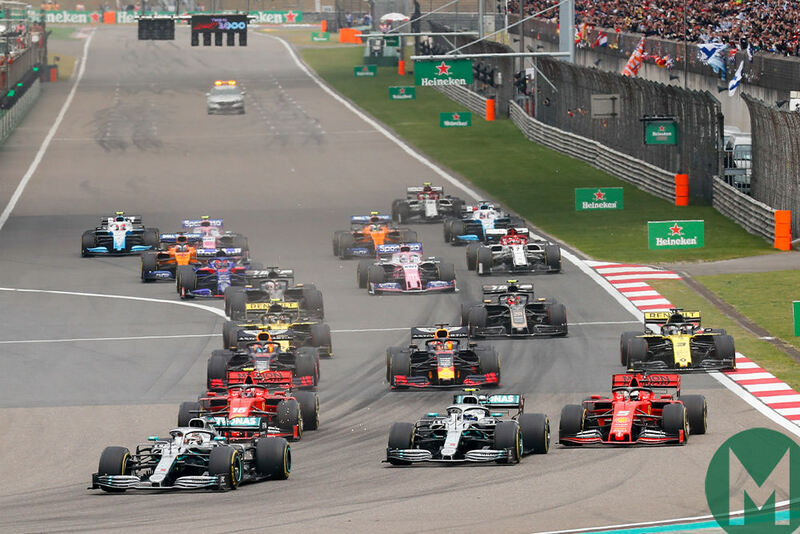 A Virtual Safety Car (VSC) was initiated to clear the Turn Six debris just as the pack was arriving into the braking zone for the hairpin, thereby neutralizing one of the race’s key overtaking opportunities. Magnussen had just been lining up Grosjean but was forced to tuck back in. The VSC lasted only for a couple of corners before everyone was set free once more, Hamilton putting some early distance on Bottas, but not as quickly as Valtteri was pulling out time on the nose-to-tail Ferraris. Vettel was sitting right with Leclerc and clearly itching to get by. Leclerc was lapping around 0.7sec off Hamilton’s pace. “I’m quicker,” radioed in Vettel after eight laps, neatly inverting the Leclerc message from Bahrain. Another tricky moment on the Ferrari pitwall as the Mercedes pair escaped. 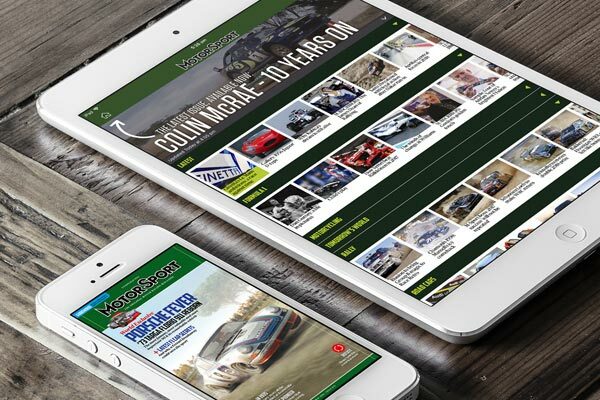 There was evidently some left-hand and right-hand cross-communication breakdown, amplified by the inevitable mismatch of speed between pitwall decision and race track reality. Leclerc was urged by his engineer to get a move on otherwise he’d have to move aside. “Yes, but we’re both…” he responded, leaving unsaid what he later confirmed was going to be a message about tyre saving. “Ok.” Everyone listens in to everyone else’s radio and so we know that Leclerc was allowed at this point a little more ersK and turbo boost. Which was quite a contradictory position – because he was just about to be told to move aside. “But I’m pulling away…” The Ferrari management order trumps the race engineer’s specific instructions and the two hadn’t been quite resolved. So Leclerc moved aside for Vettel going into Turn One to begin the 11th lap. “Now what?” questioned Leclerc, the disgruntlement quite clear, as he stayed with Vettel whose front tyres had suffered quite a lot of abuse sat so close in Leclerc’s dirty air. All this played into the hands of Verstappen and, as the pit stop window opened, he began edging up to the Ferraris, Red Bull pulling the plug to pit him on lap 17. This was further bad news for Leclerc because so close was he to Vettel that Verstappen was potentially set to undercut both Ferraris. 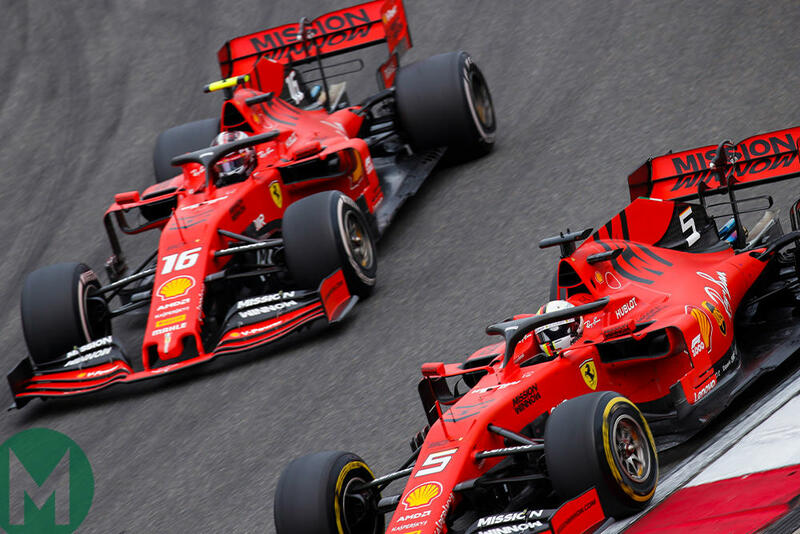 Leclerc had effectively already been undercut – and so Ferrari was obliged to bring Vettel in first (a lap after Verstappen), with Leclerc unintentionally sacrificed. Vettel had rejoined just behind Norris’s delayed and lapped McLaren, and the time this cost allowed Verstappen to get close enough for DRS on the back straight. “I saw him coming down the inside,” smiled Vettel, “and I knew that he would try something so I was already trying to prepare the exit which worked well for me.” The Red Bull sliced ahead into the hairpin but ran wide enough to allow Vettel to cut back inside and they exited wheel-to-wheel, the Ferrari getting slightly crossed up, Verstappen having to take to the dusty grass to avoid contact. Vettel remained ahead – and was thereafter able to edge away out of Verstappen’s attacking range. Now, with no undercut threat behind him – Ricciardo was 26sec behind – and Verstappen already more than a pitstop’s-worth ahead, there was no immediate need to bring Leclerc in. Ferrari looked at whether it could find another way of getting him back ahead of the Red Bull, by running him long enough to remain on the one-stop strategy. The early stops of Verstappen and Vettel had moved the race further towards a two-stop. The new tyres were between 2-2.5sec faster than the worn mediums and so the pace of Vettel and Verstappen was soon putting pressure upon Mercedes to respond with their own pitstops. With Vettel and Verstappen into new-tyred 1min 37sec, Leclerc’s times began to fall away into the 1min 40sec – which made it clear that one-stopping him was going to be slower. Circumstances and pitwall indecision had inadvertently put him in a strategic no man’s land. All triggered by his indifferent opening stint pace. Mercedes brought Bottas in first (as he was the car most vulnerable to Vettel’s undercut threat), Hamilton a lap later. The new tyre boost had cut Bottas’ deficit to Hamilton from 5.5sec before the stop to less than 2sec. “Why did you pit Valtteri first?” queried Hamilton of his team. The pace was going to be tyre-limited later, he was told. This was in his own interests, in other words. Funny thing, competitive paranoia. Leclerc was brought in on the same lap as Hamilton and the extra five laps on old tyres over Verstappen while Ferrari dithered about his strategy had cost him 11sec to the Red Bull. He now used his fresher tyres to begin reclaiming some of that deficit. Meantime, the soft-tyred Gasly was in a race of his own in the first stint, well adrift of his team-mate and the Ferraris but well clear of ‘Class B’ leader Ricciardo. His softs lasted 19 laps, at which point he was switched to the hards. Ricciardo had pitted quite early to fend off a possible undercut threat from Pérez. Hülkenberg had fallen out of this battle with yet another Renault ersK failure. Up front, Hamilton had gradually put distance upon team-mate Bottas again, the pace dictated by keeping Bottas’ gap over Vettel to around 6sec in this second stint. Ferrari brought Vettel in for his second stop on the 35th lap – and Mercedes responded with a double stack stop for Hamilton and Bottas. The alternative of pitting Hamilton then Bottas would have put the latter under some undercut threat from the Ferrari. The gap of 5.5sec between the two Mercedes was just enough to get Hamilton serviced and underway again without causing Bottas a delay. It was beautifully synchronized. Verstappen had by now fallen away from Vettel, the Red Bull’s pace not as strong as the Ferrari’s once onto the hard tyre. In fact, Leclerc had got close enough to put undercut pressure upon Verstappen, forcing Red Bull to pit first. Ferrari then left Leclerc out, in the hope of giving him a grip advantage in the last stint – but also to try to delay the just-rejoined Bottas enough that Vettel might be able to take advantage. Leclerc defended sternly, costing Bottas a couple of seconds in as many laps. Vettel was too far back to take advantage. Leclerc was finally brought in eight laps after Verstappen, but that had cost him 13sec to the Red Bull - with 13 laps to go. His fresh tyres brought him a good pace advantage, but not to the tune of 1sec per lap. The damage to his race had been done by the no man’s land strategy his late first stop had enforced. Vettel had set the fastest lap of the race to date a lap after rejoining on his new tyres. Leclerc’s best seven laps later (around 0.4sec-worth lighter) was slightly slower. Confirming that Vettel genuinely did have better pace than his team-mate and it hadn’t just been about strategy and the team prioritising him. Although Hamilton would occasionally ask about the fastest lap he was never given the go-ahead to attack it with the appropriate engine mappings. But Red Bull spotted an opportunity in Gasly’s big gap back to Ricciardo, by bringing him in for a third stop – and a new set of softs – without losing position. This was just three laps before the end and, guided by mini-sector times on his dash, Gasly was able to eclipse Vettel’s time by around a tenth to take the extra point on offer, without having to try too hard. His fuel load would have been around 1sec-worth less than when Vettel had set his time – and on a tyre compound that was around 1sec faster. Hamilton reeled off another victory, one that had looked unlikely on Friday. 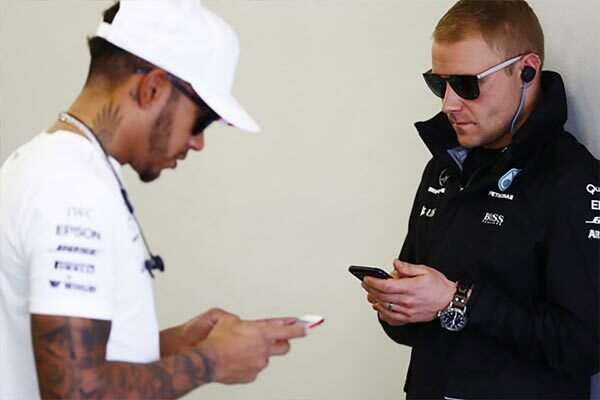 “Yes, there was a point there where I was around 0.8sec off Valtteri. I had to adapt my driving style. But we got there in the end. The wheelspinning start was probably all that separated Bottas from Hamilton on the day and he kept Vettel comfortably at bay throughout. Verstappen in fourth was still around 4sec clear of Leclerc by the flag, with Gasly best part of a lap ahead of the ‘Class B’-winning Ricciardo. The Renault driver was probably saved from attack by Pérez as the latter was forced to defend from Räikkönen in the late stages. Grosjean had got within DRS range of Albon with a couple of laps to go but the latter was saved from a pass by getting DRS himself from the lapped Williams of Kubica. The Toro Rosso driver thus took a well-earned point. The Williams’ were two laps down by the end, Russell ahead, helped by a pitstop delay for Kubica. That was how the 1000th race counting for the world championship went, 69 years after Giuseppe Farina’s Alfetta took the Silverstone flag. MPH: "Don't write off Kubica just yet"